Model-based systems engineering is becoming important and is being more widely used as the computing power is improved, because it can be extensively utilized for evaluating performances of vehicles with less effort and time than real-world tests. 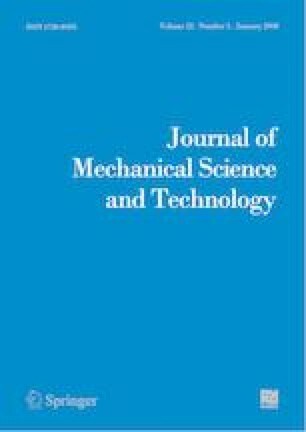 In this study, a port-based model technique is reviewed, especially for investigating the model connection between the transmission output and the final-drive input in vehicle powertrain models. Commercialized tools that model vehicle powertrains provide well-organized processes for users to connect conventional component models, but a confliction problem of connecting ports frequently arise when users develop their own models and integrate them into a vehicle system. In this study, several ideas to address the conflict issue have been reviewed, and an idea is implemented to solve the port conflict of the vehicle powertrain, and discussions about the method are provided. The idea is very useful especially when the powertrain model uses effort and flow signals to connect sub-component models. Simulation results show that the method produces accurate results and is fast enough, which requires additional calculation time less than 1 %, compared to an alternative method, and it is proved that it guarantees numerical stability in computations. The idea has been widely used in powertrain models, but the feasibility and the numerical stability have not been carefully investigated in the previous studies, so this study would be helpful for proving a basis to model users who develop new sub-component models. Namwook Kim received his Ph.D. from Seoul National University in 2009. He, as an Associate Professor, is currently working in the Department of Mechanical Engineering, Hanyang University ERICA Campus, Ansan, South Korea. Woong Lee is a Ph.D. candidate in the Department of Mechanical Engineering, Hanyang University ERICA Campus, Ansan, South Korea. He is working on vehicle system modeling and control optimization for electrified vehicles. Haeseong Jeoung is a Ph.D. student in the Department of Mechanical Engineering, Hanyang University ERICA Campus, Ansan, South Korea. He has studied advanced vehicles in the field of automotive engineering. Do Hyun Park is a Ph.D. student in the Department of Mechanical Engineering, Hanyang University ERICA Campus, Ansan, South Korea. He is specialized for studies of vehicle electrification and control problems. Deokjin Kim is working for Korea Automotive Technology Institute as a research engineer. He received a Ph.D. in the Department of Precision Mechanical Engineering from Chonbuk National University, South Korea.